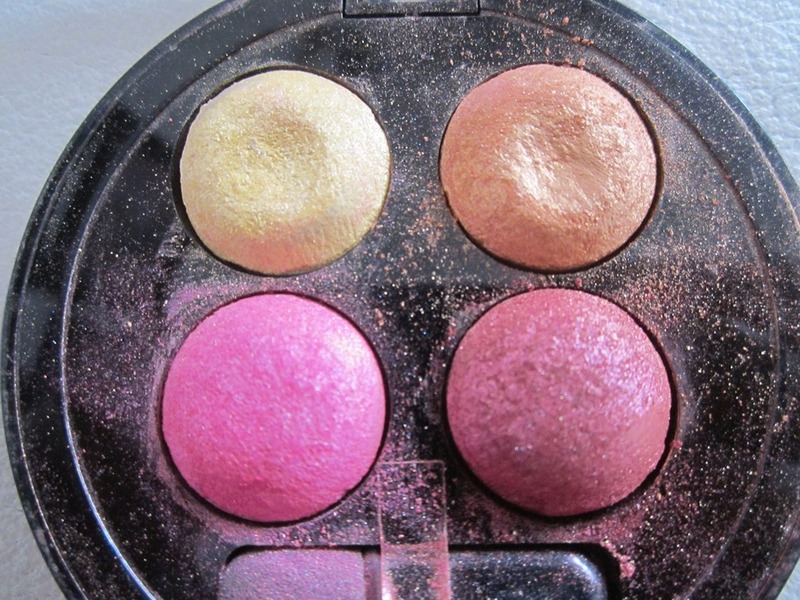 ABOUT:This chic compact of four color harmonized shades contour and highlight eyes, with intense pigments. Provides perfect payoff for a dramatic look. 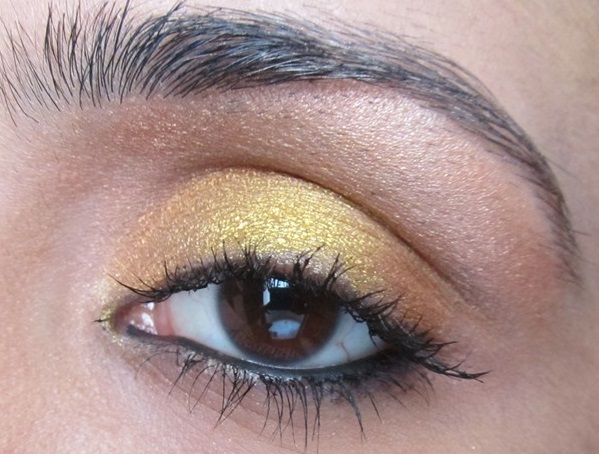 All day-wear eyeshadow! PACKAGING:The packaging is average.A transparent lid and black body. A sponge applicator is also provided which is not of much use.It is a bit flimsy and not travel friendly as these eeyshadows have a lot of fallout.The shade name and number are provided at the back of the packaging with all the ingredients mentioned. 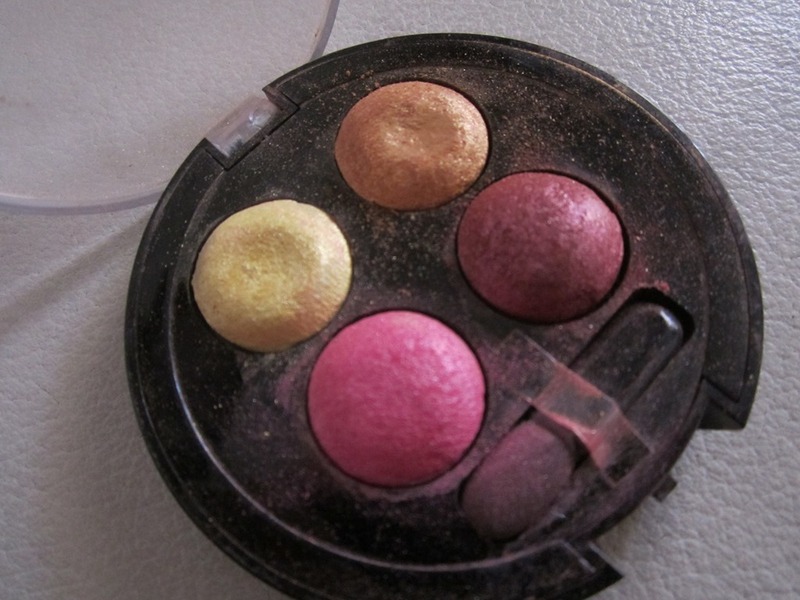 I didnt clean the palette just to show the fallout which is TOO MUCH!! THE QUAD:The quad has 4 shades that are very shimmery.These can be used together to bring up a day look,soft romantic look. 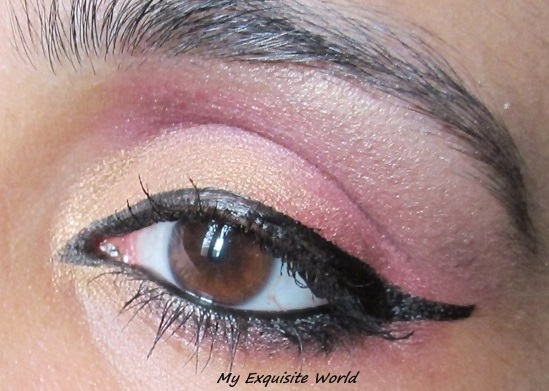 A darker shade is absent for smoky look.Nevertheless,the shades are really pigmented. 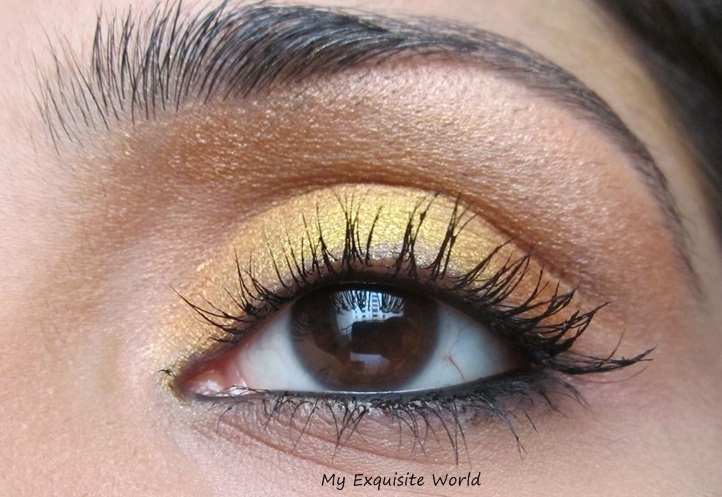 A shimmery champagne gold shade. 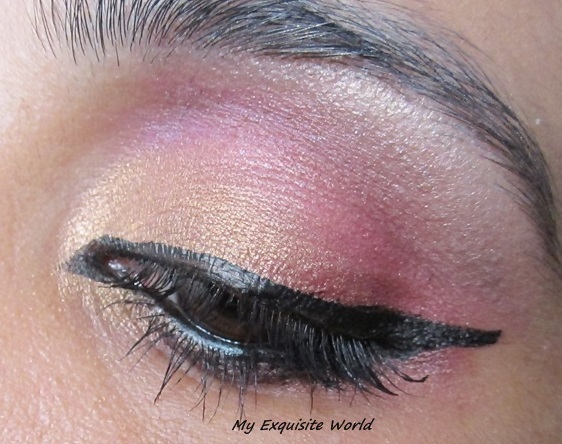 A shimmery medium rose pink shade..
A cranberry pink with minute brown-purple undertones.This shade has warmer undertones. 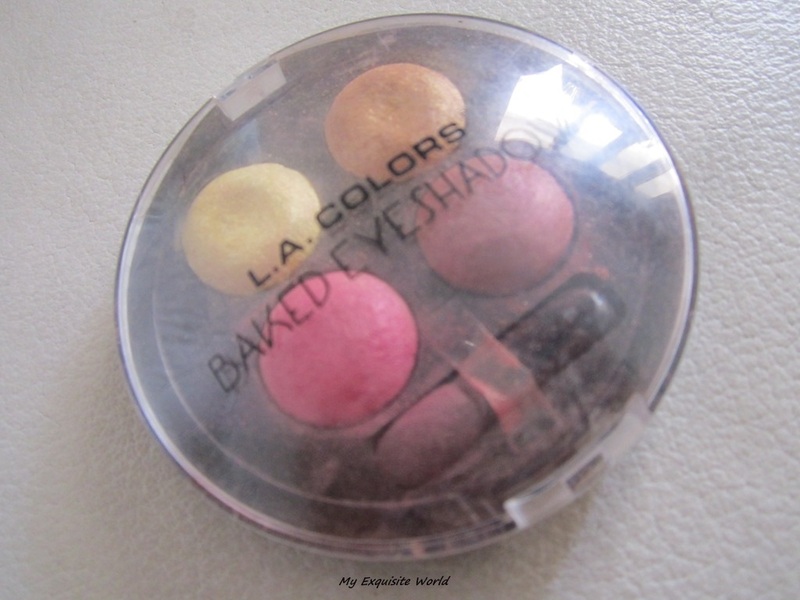 MY VIEWS:All the shades are shimmery.They are soft and pigmented.Since these are baked shadows,when applied wet,they intensify to a great extent.These eyeshadows have a lot of fallout.I tried clearing them from the pan but its still obvious.Staying power is around 5-6 hours and.They do crease on oily lids but otherwise,i didn’t see any creasing or fading.All the shades blend easily and they are great for pairing with black for a smoky look. 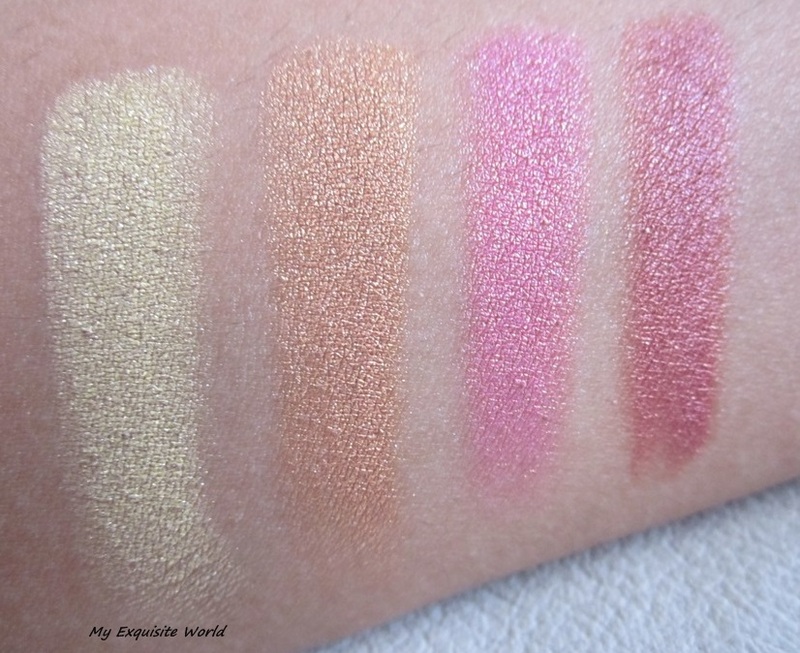 I love the outcome of the shades as they look great on all skin tones and can be used for creating various looks.You can opt for smoky pink ,subtle pink,romantic pink,gold pink and many more looks.They shades look great when used alone as well and blend out easily with other shadows and can be applied easily over base or paint pot. RECOMMENDATION: It is indeed a great quad for the shades it offers but I prefer presence of a darker shade as it adds a lot of possibilities and can be used for day and night looks.These shades can be used for subtle,romantic looks.The fallout is a big con and the packaging isn’t travel friendly.Other than that,it is a great quad. PACKAGING:The packaging is average.A transparent lid and black body. An applicator sponge is also provided which is not of much use.It is a bit flimsy and not travel friendly as these eeyshadows have a lot of fallout.The shade name and number are provided at the bak of the packaging with all the ingredients mentioned. 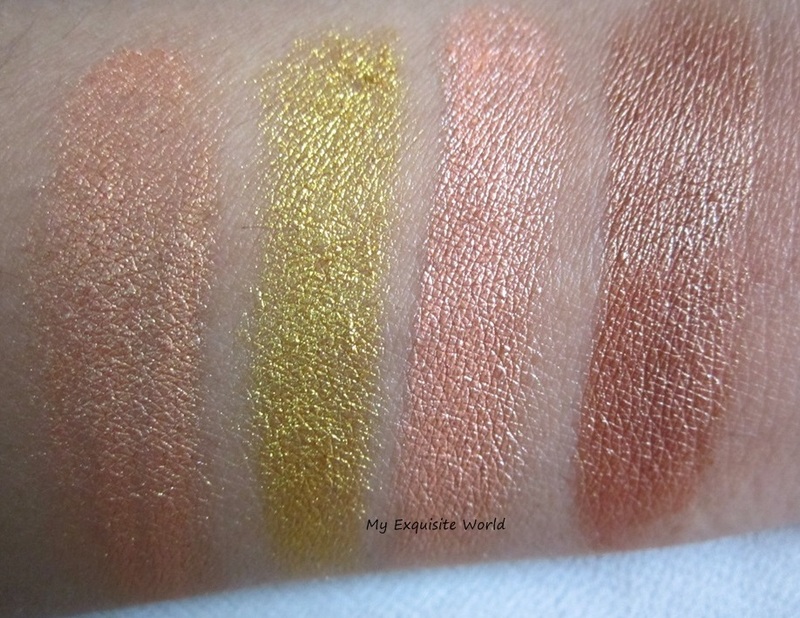 THE QUAD:The quad has 4 shades that are very shimmery.These can be used together to bring up a day look as a darker shade is absent for smoky look.Nevertheless,the shades are really pigmented. 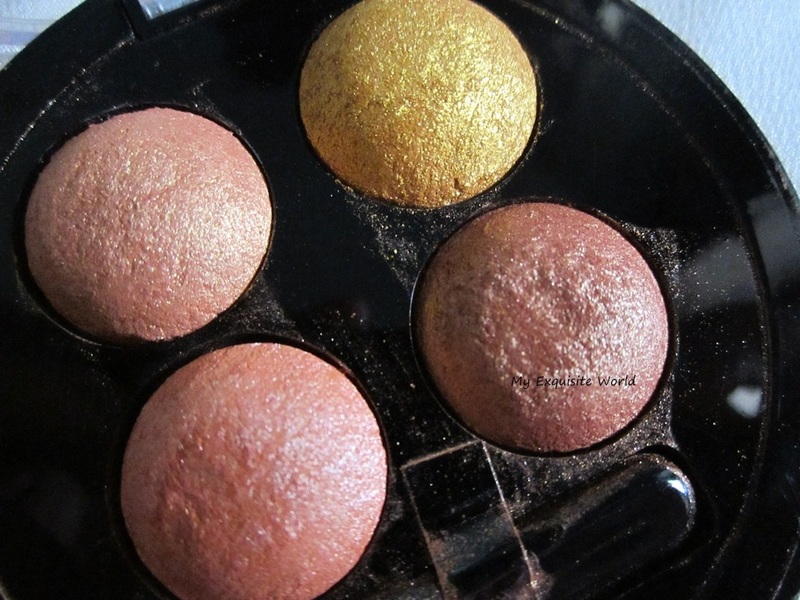 A shimmery peachy golden shade. 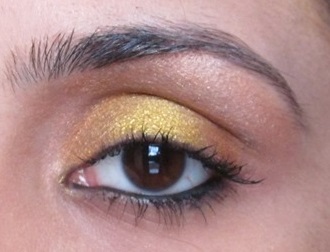 a yellow gold shade(very bright). 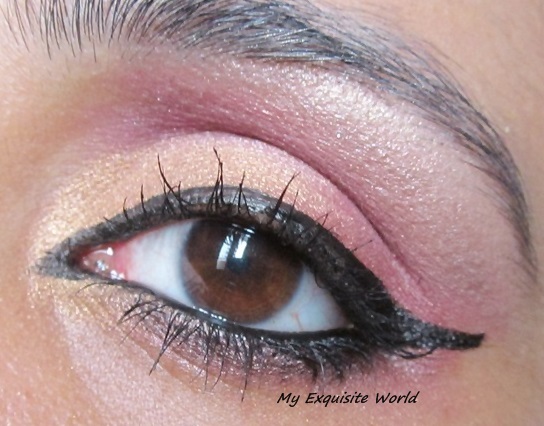 a pale shimmery pink shade great for highlighting the brow bone and inner corners of the eyes. 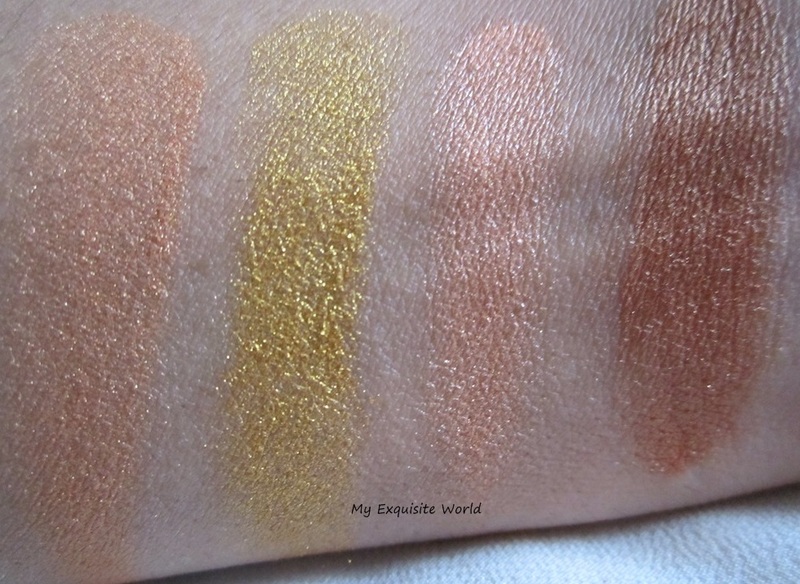 All the shades are shimmery.they are soft and pigmented.When applied wet,they intensify to a great extent. 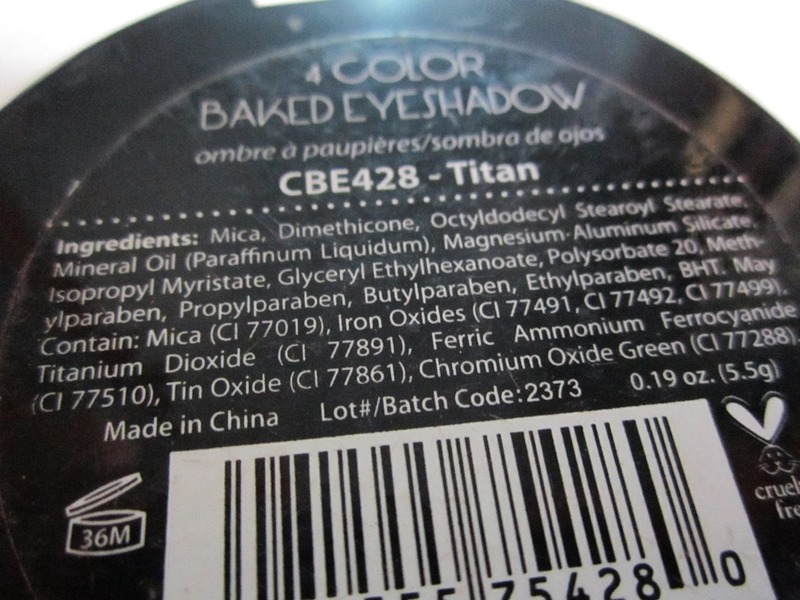 These eyeshadows have a lot of fallout.I tried clearing them from the pan but its still obvious. Staying power is around 5-6 hours and.They do crease on oily lids but otherwise,i didn’t see any creasing or fading. 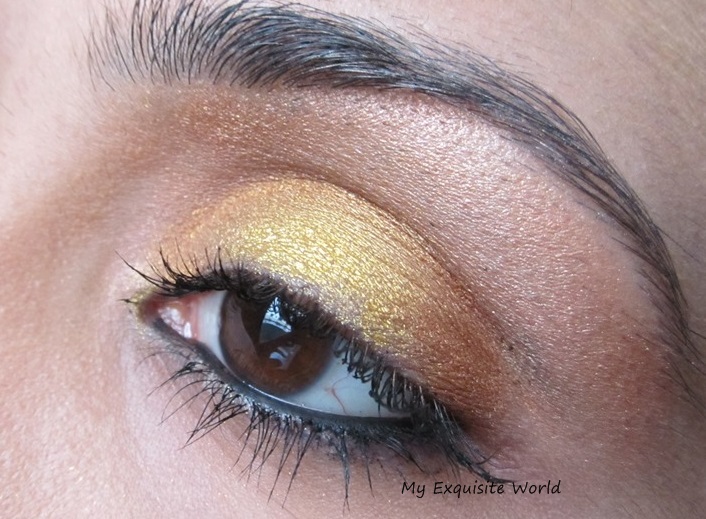 All the shades blend easily and they are great for pairing with black for a smoky look.In thr look that i have created,i applied the yellow gold on the centre of the eyelids and chamapgne brown on the outer corners.Highlighted the brow bone with pale shimery pink which is a great shade for everyday wear and office wear.I applied the peachy gold in the inner corners of the eyes. 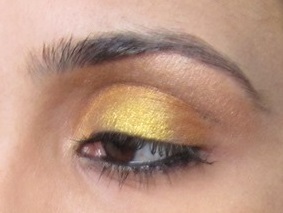 see how the yellow shade looks metallic..
can be used wet as well as dry. greta shades for special occasions. the shimmer present is soft. 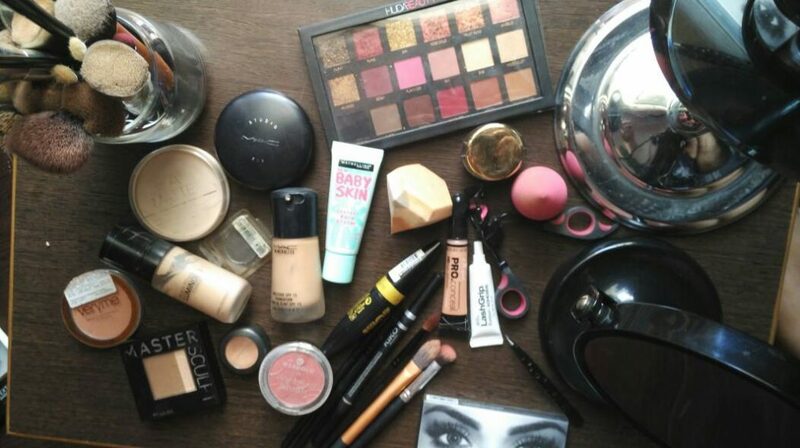 can be used for creating different looks. absence of a deeper shade for smoky looks. the shades have a lot of fallout when used dry. the applicator that comes along is of no use. the crease on oily lids. 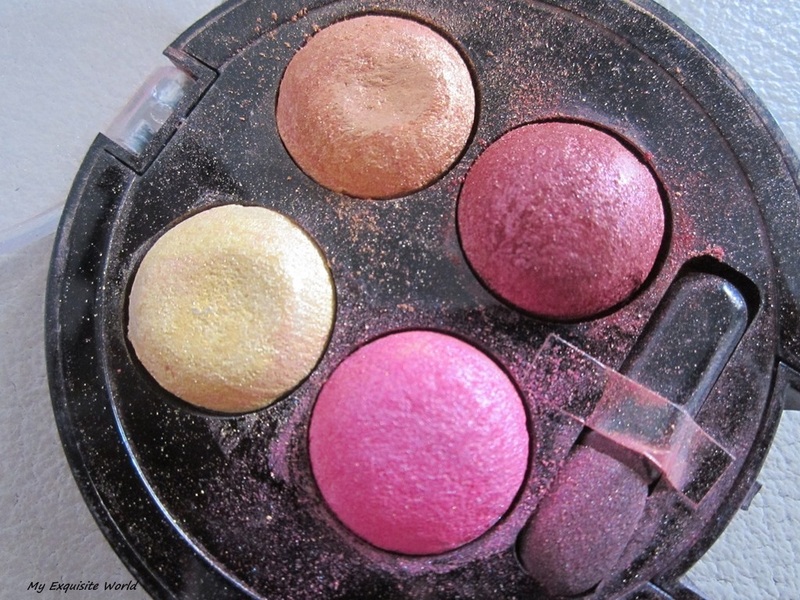 RECOMMENDATION: It is indeed a great quad for the shades it offers bu ti prefer presence of a darker shade as it adds a lot of possibilities and can be used for day and night looks.These shades are best suited for special occasions.The fallout is a big con and the packaging isn’t travel friendly.Other than that,it is a great quad.